Rüsselsheim. The new Opel Insignia and the Opel Vivaro Life are “Heroes of digitalisation” – this is how Auto Bild and Computer Bild, two of the most important publications in their respective areas in Germany, describe the winners of the “Connected Car Awards 2017”. Around 15,000 readers of the two magazines cast their votes and two Opel models won their respective categories: The Opel Insignia flagship convinced with all-round connectivity winning the “Connected Car” award. In addition, the Opel Vivaro Life was voted “Connected Campervan” thanks to Navi 80 IntelliLink and real time traffic function. Opel CEO Michael Lohscheller accepted the awards presented by Stephan Fritz, General Manager Auto Bild Group, and Tomas Hirschberger, deputy editor-in-chief of Auto Bild, in the Adam Opel Haus today. 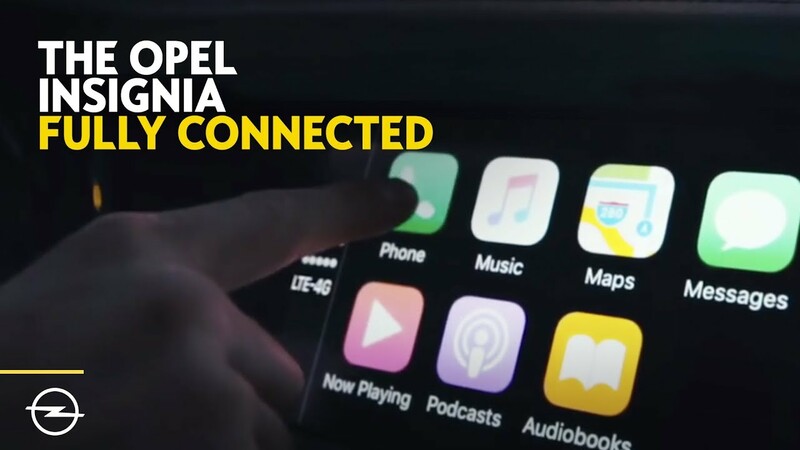 “Opel has played a leading role in outstanding connectivity and all-round vehicle infotainment for several years. Our Apple CarPlay and Android Auto compatible IntelliLink system and the extensive OnStar services turn driving into a multimedia experience,” said Opel CEO Michael Lohscheller. “We are delighted that the readers of Auto Bild and Computer Bild have acknowledged our digital offering with the ‘Connected Car Awards’”. The Rüsselsheim-based carmaker has enjoyed considerable success in the “Connected Car Awards” in recent years with the Opel ADAM and the IntelliLink infotainment system coming out on top. The current Opel Insignia shines with IntelliLink infotainment and the personal connectivity and service assistant OnStar. The latest generation IntelliLink systems, with voice control and up to eight-inch colour touchscreens, are compatible with Apple CarPlay and Android Auto, which bring the world of smartphones into the car. In addition, Digital Audio Broadcasting DAB+ increases the amount of radio stations that can be received and the quality of the reception. Wi-Fi Hotspot with numerous services ranging from destination download to automatic crash response. In combination with Navi 900 IntelliLink, destinations that come from the OnStar advisor or that are sent in advance via myOpel smartphone app can be downloaded directly to the navigation system. Furthermore, Insignia owners can take advantage of the hotel booking serviceor even ask the OnStar Advisor to find the closest suitable parking lot. Elsewhere, the recently launched Opel Vivaro Life won the newly created “Connected Campervan” category. Thanks to digital connectivity the Navi 80 IntelliLink system with real time traffic function provides updates and suggests alternative routes before the driver and passengers are stuck in a traffic jam. The point of interest function can display shops or restaurants along the route. Navi 80 IntelliLink can easily be controlled via the seven-inch colour touchscreen, the steering wheel buttons or via voice control and is also compatible with Android Auto. It enables owners of an Android smartphone (Lollipop 5.0 or higher) to access many functions via the infotainment system of the Vivaro.